Huawei E2130 and E2131 are the world’s first 3G SD modems, which was released at CES 2014. They have the main function to memorize data as datacard, one special feature is added by Huawei. They also have the SIM card slot for wireless connection. 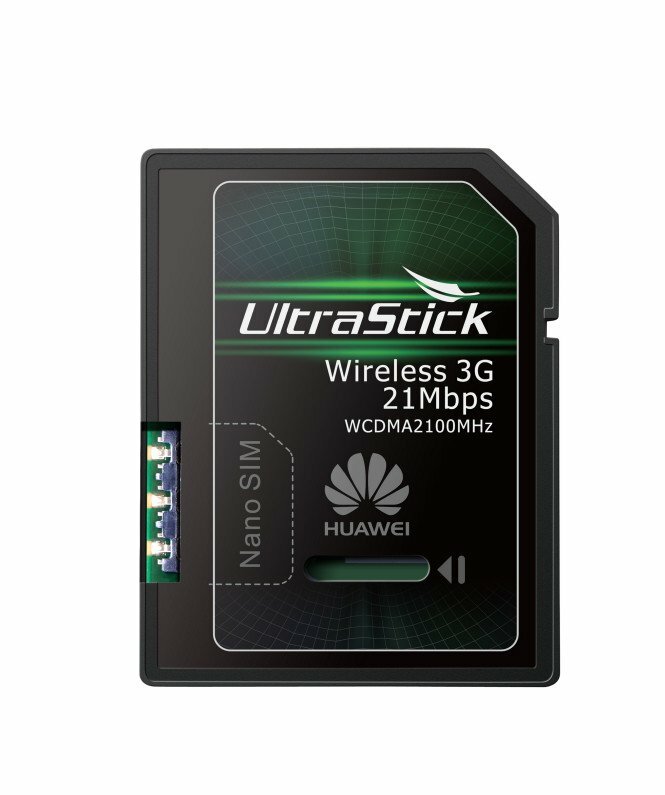 The NANO SIM card could be inserted into the datacard and after plug the card to PC or tablets, the PC or tablets could access internet through the 3G SIM card based on the SD card. Here now Huawei E2130 and E2131 could maximum download speed up to 21Mbps, which is enough for most applications. But since the Data card is already in small size, so nano sim card could be used to save more space. 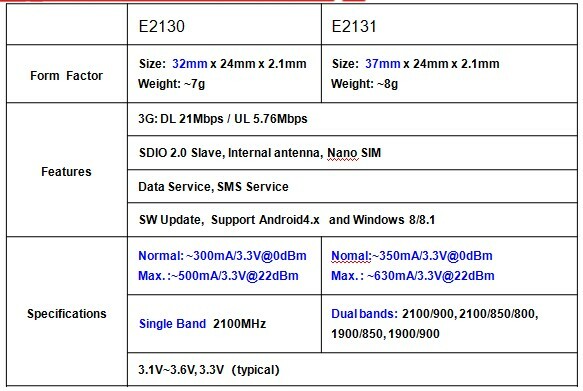 Huawei E2130 and E2131 are both in SD card size, but Huawei E2131 is larger in size to 37 mm length, while E2130 is 32mm. This is the first difference. The second difference is that the network frequency bands. Huawei E2130 supports 3G single band 2100MHz. It seems to be a common version. Huawei E2131 seems to meet different areas because it support dual-bands, and it has many band combinations, such as 900/2100MHz, 850/2100mhz, 850/1900MHz and 900/1900MHz. The third difference is on the power consumption, which is also a big concern for users. Huawei E2130 normally consumes power ~300mA/3.3V @0dm, and maximum 500mA/3.3@ 22dBM. With larger size, Huawei E2131 normally consumes ~300mA/3.3V @0dm while maximum 630mA/3.3@ 22Dbm.